Most medical problems are managed in GP surgeries. However, there are many local pathways and services in Lambeth your doctor may recommend or refer you to. Some services allow you to refer yourself. For most service the doctor will agree to refer you. To refer to many services, including local hospitals we use E-referrals. This NHS leaflet explains what you can expect to happen if you are referred by your GP to see a specialist or consultant. When you and your GP agree that you need an appointment with a specialist, the GP will write a referral and you can book your first hospital or clinic appointment using e-Referrals (formerly known as "Choose and Book". e-Referrals is a service that lets you choose your hospital or clinic. You will also be able to choose the date and time of your first appointment. The GP will give you a choice of hospital or clinic. You may already know which hospital you would like to be referred to. If you are not sure, there is useful information at www.nhs.uk which may help you decide. Once the doctor knows which hospital or clinic you would like to be referred to they will enter your details onto the e-Referrals system and they will make a referral. When the doctor has completed your referral a member of our reception team will contact you by telephone you to tell you your Booking Form is ready to collect from the Practice. The Booking Form has a unique booking reference and password you will need to make your appointment. When you have your booking form you can phone the appointments line number listed to arrange your first appointment. You will be offered various dates and times by the hospital or clinic so that you can choose the one which best suits you. If you loose your Booking Form please telephone the Practice and we will be able to give you the details again. If you do not book an appointment the hospital will send a reminder letter. 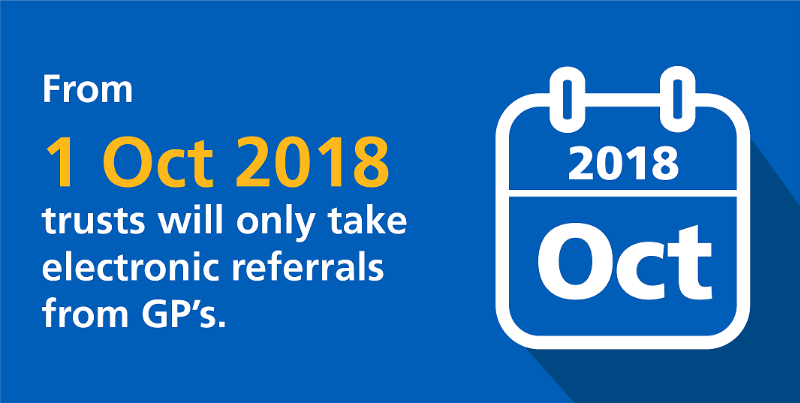 If you have not booked an appointment within 1 month your referral may have been cancelled, so you will need to be referred again. Please note that some clinics and hospital departments are not yet on the e-Referrals system. Your GP will know which clinics these are and will send a letter to them directly. The clinic or hospital will then write to you with an appointment date and time.